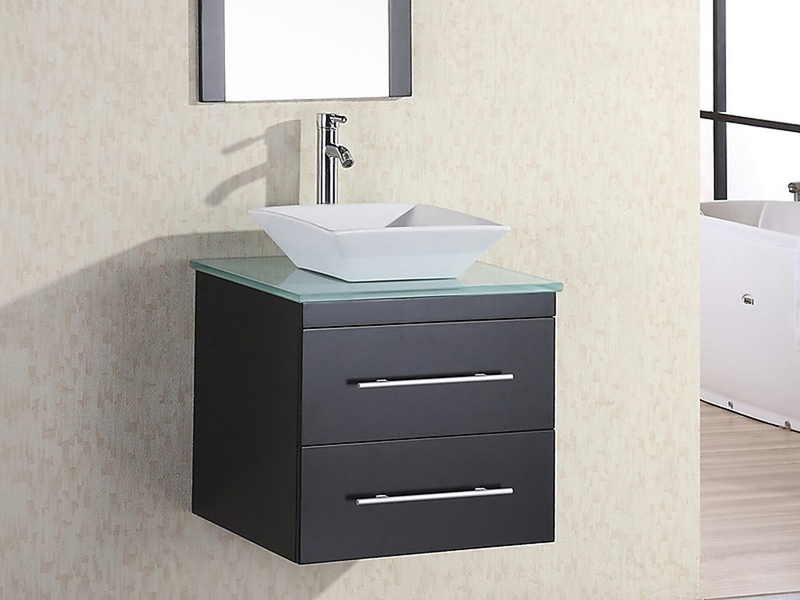 For a truly space-saving, yet stylish vanity, the 24" Portland Single Vanity is truly the vanity for your bathroom. 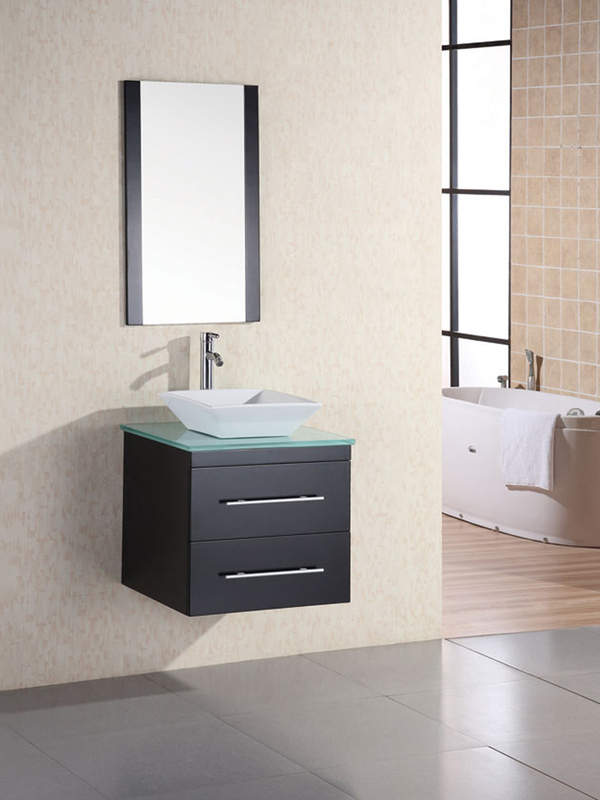 With two functional drawers and a wall-mounted design, this little vanity is packed to the brim with style features that gives it an attractive flair. 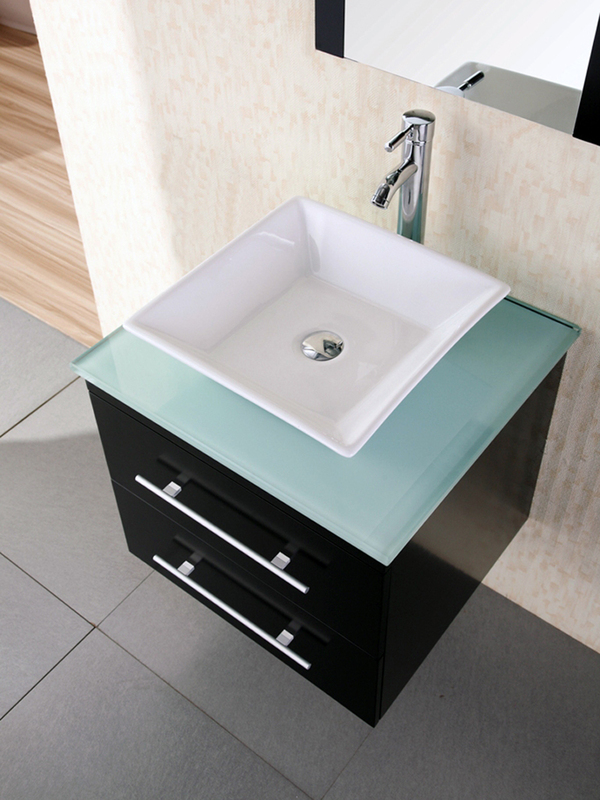 A green-hued tempered glass top complements the beautiful designer white ceramic vessel sink. 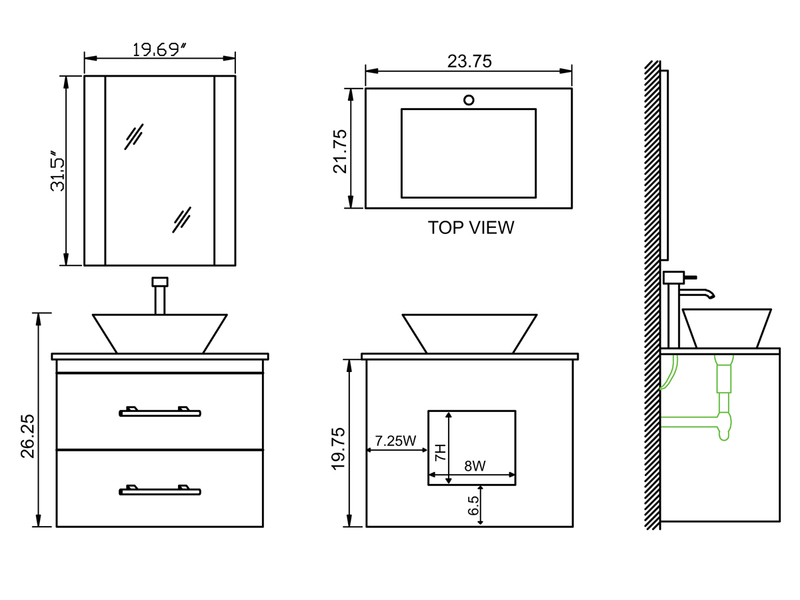 Included with this vanity is a matching framed mirror.